John C. Reilly may not be the first star to come to mind when you think of leading men, but he has been in almost 60 films and nominated for two Golden Globes, an Oscar® and even a Grammy for WALK HARD: THE DEWEY COX STORY (2007). Reilly started his film career in 1989 with CASUALTIES OF WAR and continued to gain exposure through his supporting roles in DAYS OF THUNDER (1990), WHAT'S EATING GILBERT GRAPE (1993) and THE RIVER WILD (1994). In 2003, he starred in three out of the five films nominated for Best Picture: CHICAGO, which won the category, GANGS OF NEW YORK, and THE HOURS. You may also recognize him from titles such as THE AVIATOR (2004), TALLADEGA NIGHTS (2006) and, of course, STEP BROTHERS (2008). Reilly is a talented and well-rounded actor, comedian and voice over artist — and this year alone, he has three films hitting theatres. 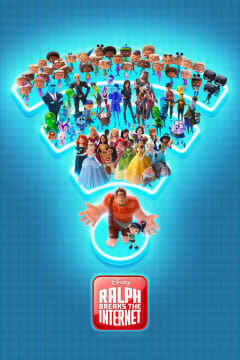 Read on to learn more and get your tickets at AMC. Brothers by blood. Sisters by name. In 1850s Oregon, the infamous duo of assassins, the Sisters brothers, are hired to find and kill a gold prospector and chemist, who stole from their boss. But the scientist’s secret might be worth more than they know, and a simple pursuit across the wild West turns into something a lot more dangerous. Reilly stars as Eli Sisters, who wants to start over — and stop killing people — but brother Charlie Sisters, played by Joaquin Phoenix, is too set in his ways. Jake Gyllenhaal also joins the cast of this atypical, hilarious western based on Patrick Dewitt's acclaimed novel of the same name. 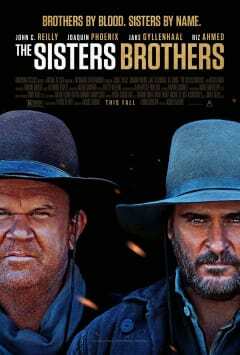 Lasso your sisters or brothers, and get your tickets to THE SISTERS BROTHERS at AMC today. 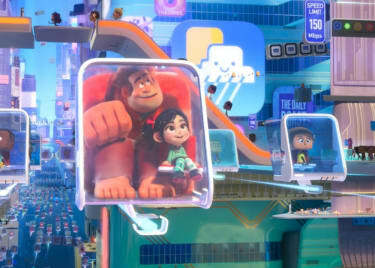 Another reason to be thankful this year: Disney’s RALPH BREAKS THE INTERNET is loading in theatres November 21. 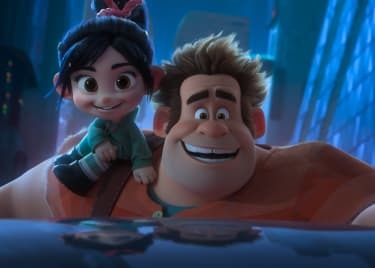 Six years after the events of WRECK-IT RALPH, Ralph (voice of Reilly) and Vanellope (voice of Sarah Silverman), now friends, discover a Wi-Fi router in their arcade, leading them into a new adventure: the internet. 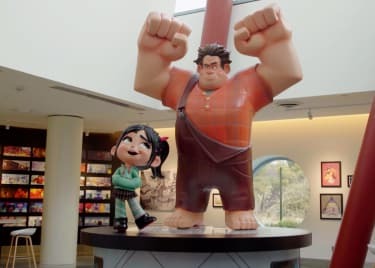 Passing by sites like Amazon and Snapchat, they enter the “super intense and really nuts” Oh My Disney, a real BuzzFeed-like blog dedicated to and operated by Disney. Upon their arrival, they meet Eeyore, some Storm Troopers and the Disney Princesses. Who else will be there? Find out this Thanksgiving. 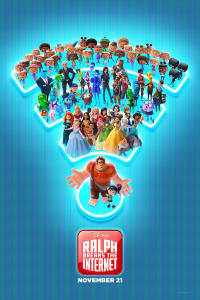 Check back on the AMC website for tickets to RALPH BREAKS THE INTERNET. Reilly and Will Ferrell reunite for their fourth collaboration in HOLMES AND WATSON, a humorous take on Arthur Conan Doyle's classic mysteries featuring Sherlock Holmes (Ferrell) and Doctor Watson (Reilly). According to IMDb, the movie is based on a Saturday Night Live sketch, in which Ferrell starred as Robert Goulet as Holmes. Other than those details and a few photos, little else has been released about the film, which opens December 21. 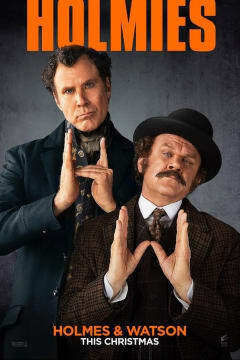 We do know HOLMES AND WATSON was written and directed by Etan Cohen, who most recently wrote and directed GET HARD (Ferrell and Kevin Hart), and was filmed in London. Based on the stars, it’s probably safe to say this adaptation will bring a lot of laughs. Visit the AMC Scene often for updates.